Belmont’s College of Pharmacy, in partnership with Aegis Sciences Corporation, recently celebrated the completion of its first Clinical Scientist Fellow in Drug Information, a two-year program that provides an intensive postgraduate training program focused on drug information, evidence-based practice, teaching and research. 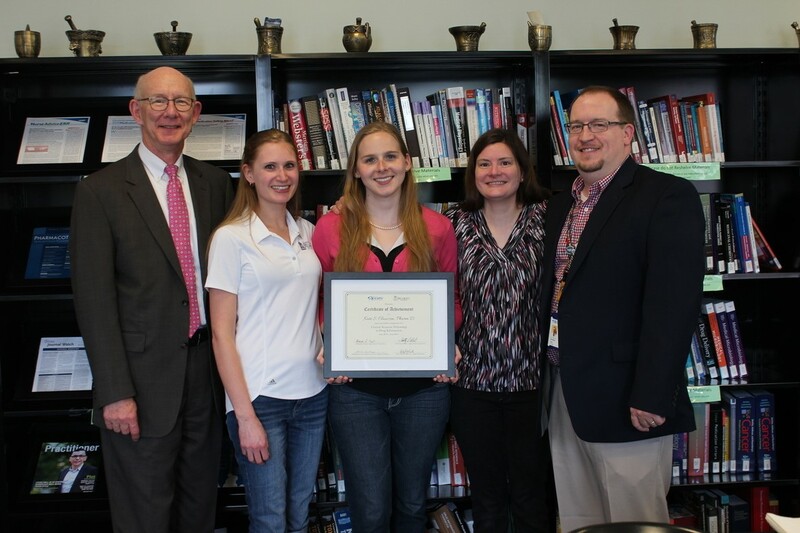 Dr. Kate Claussen, of Hendersonville, Tennessee, was the program’s first fellow. The program is one of approximately 60 postgraduate pharmacy fellowships in the country and offers a unique training experience in areas not widely available in pharmacy training. Two new fellows, Jeneva Garland and Stephanie Manley, began their training on June 1. This program is the first drug information fellowship in Nashville and the only drug information fellowship with a healthcare laboratory component.